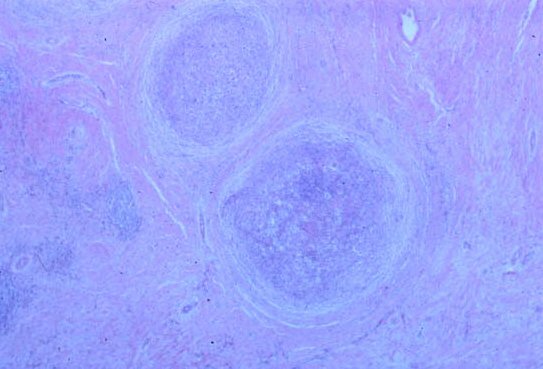 The first photo shows nodules of tumor surrounded by dense pink collagen bands ("sclerosis"). The second photo shows the lacunar Hodgkin's cells as white area with central, large blue nuclei. 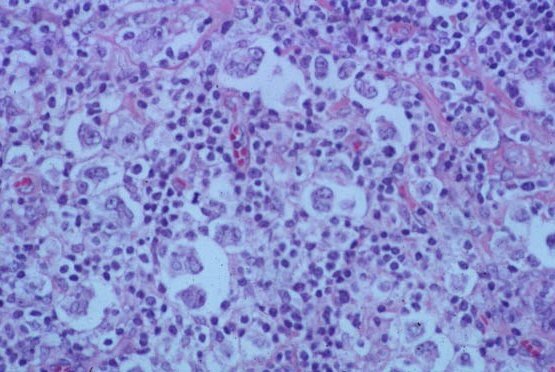 Most patients with this kind of Hodgkin's disease respond very well to treatment.